It may be the dead of winter, but Ban.do has us ready for summer. The brand known for fun is offering up to 80% off markdowns and 50% off planners, with prices that can't be beat. I mean $5 for sunglasses and $12 for a phone case, COME ON! Now that I've got your attention! The sale runs from February 9th to February 11th and you get a "goody goodie" bag with a $25 purchase. And if you're in LA, be sure to stop by the store on the 9th or 10th for exclusive deals from brand friends, goody goodie bags, and more. 1. A glitter bomb iPhone case to help you ~shake up~ your phone routine. Everyone who sees this will instantly exclaim, "OHHHHHH." Promising review: "I am really picky about phone cases and I can never find the perfect one BUT👏let👏me👏tell👏you👏 this phone case is the bomb. It’s really well made and you can tell it will last long. The only thing is the case is a tad bulky in your phone, but I like it. It’s honestly not that bad of bulk, but it’s a tad thick. LOVE ITTTTTT!" —Ashley V.
2. A lemon cooler bag that will be an aid when you go to the pool or beach as it keeps your drinks cool for hours. Promising review: "I love this bag! I used is as my carry on during a trip to Mexico and then was able to use it as a cooler for the beach. I love that you can use it in multiple ways. "—Senia L.
3. A pom pom tee to switch up your normal and, dare I say, boring white t-shirt with something with some extra pizzazz. 4. A giant beach towel to take on your next trip to Hawaii—or to the closest beach where you can pretend you're on a tropical island (even if you had to take three subways to get there). Oh sorry, that's just how I get to the beach. Carry on. 5. A glitter cocktail shaker that puts every other cocktail shaker to shame. You'll want to have more parties just to show this off. 6. 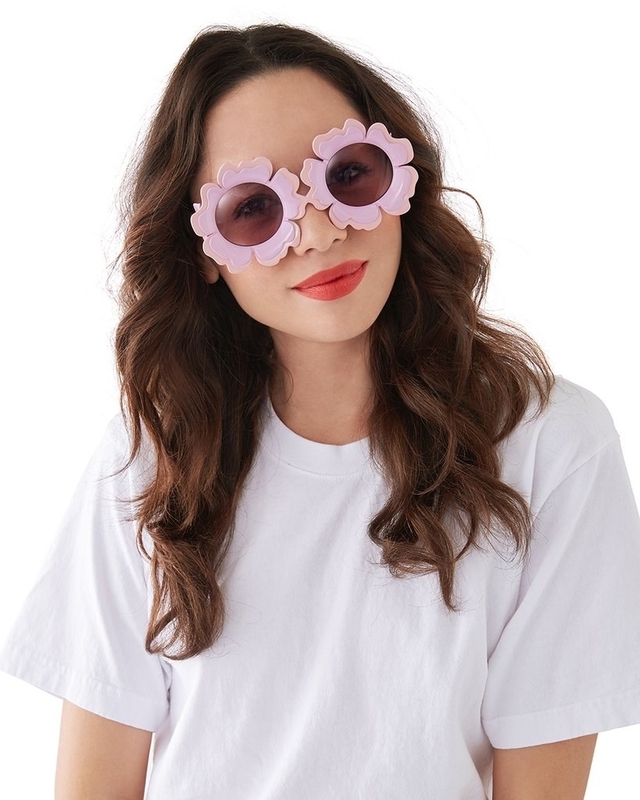 A pair of flower sunglasses you'll rock in every single one of your Instagram photos. And because they're so cute, your friends will not even get tired of hitting "like" when they see them in every photo. 7. A thermal mug you can show off in your next meeting when you stroll in wearing your power suit and let everyone know you are not there to mess around. 8. 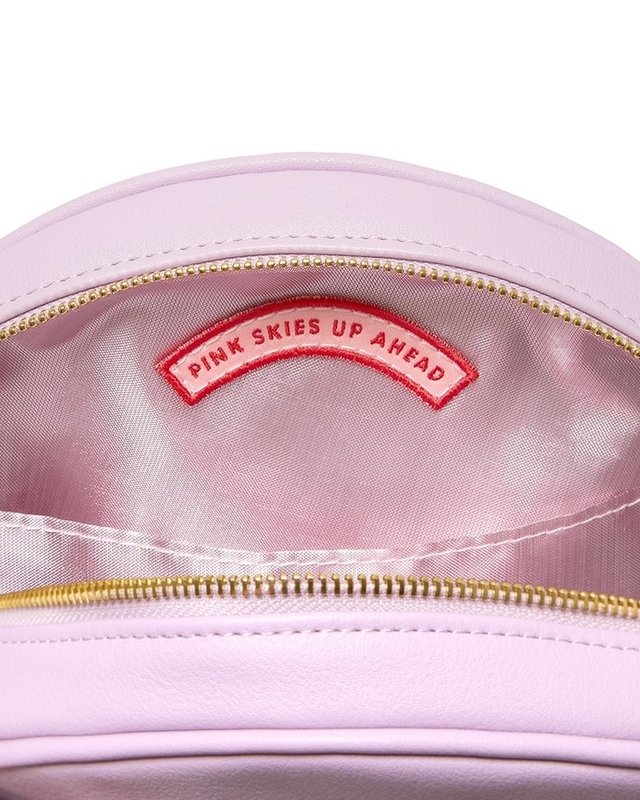 A canvas bag you'll ~totes~ get a ton of use out of. 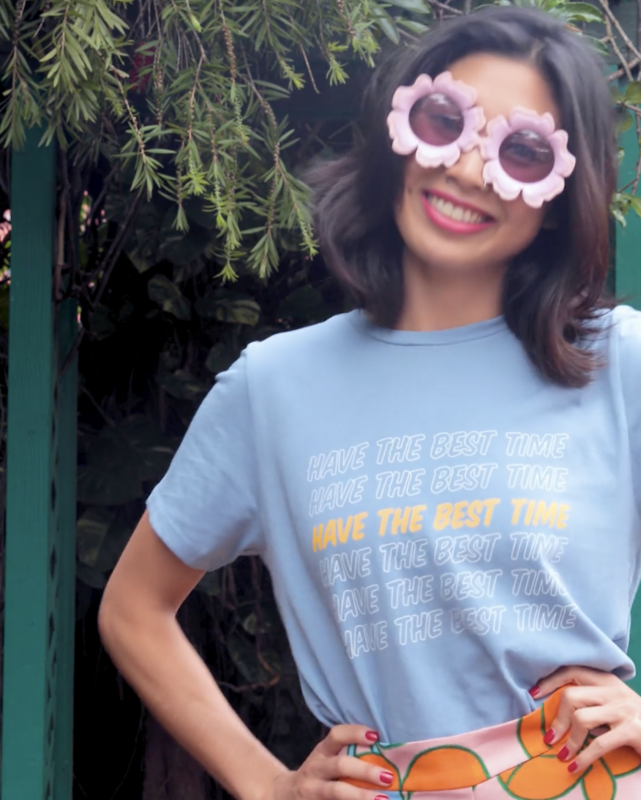 You can bring it to the farmers market, grocery store, or just shopping to help cut down on your plastic bag usage and look cute while doing it. Promising review: "I love this bag! It's a little bit bigger than your average tote bag, so it's great to bring shopping. Plus, the colors are amazing!" —Hilary B. 9. A mobile charger to keep you phone at 💯 until phone companies figure out a way to keep phones charged all day long. Promising review: "This thing is a powerhouse. And it’s amazingly cute. I am so in love with it. PLUS, I was able to charge my phone AND a stranger's phone while at a music festival. Amazing!!!! I def recommend." —Allison L.
10. A super chic glass bottle with a silicone sleeve to keep your water colder for longer. Plus, you'll stay on top of your resolution to stay hydrated. 11. A gym bag with a message about why you're at the gym in the first place...to eat more pizza. 12. A silicone iphone case to block all the haters in your life who say you don't need another phone case. You don't need that kind of negativity in your life. 13. A pair of wavy stripe earrings that'll make a huge statement everywhere you go. Promising review: "I haven't taken these off! These are the cutest earrings! I seriously have been wearing them with everything! As long as Jennifer Loiselle keeps making earrings, I will keep buying them!" —Toni H.
14. A tumbler you friends won't be-leaf you got for such a great price. You might as well stock up so you can give them all one for their next birthday. The tumbler holds 20 ounces. Promising review: "I'm obsessed!! This has helped me keep track of how much water I’ve been drinking, and it’s also adorable. I'm so in love!!" —Shelby D.
15. A compliment card set you should stock up on so you can hand them out to your friends (or random strangers) when they're having a bad day. 16. A set of two glitter tumblers that may make you throw away all the wine glasses you currently own, because once you drink from these babies, you won't want to use a boring plain old one ever again. 17. A light box you can personalize with an inspiriting message to help you get through the week. You got this! 18. A t-shirt displaying what your status is 100 percent of the time. At least people will know why you keep canceling plans now. 19. A circle bag (made of vegan leather) with an inspiring message inside to help remind you that there still is good in the world. 20. A pair of socks that'll have everyone double ~checking~ where you got them (because they're so cute). 21. A set of three beautiful notebooks because there's honestly not a better feeling than cracking open a fresh notebook and thinking about all the possibilities it has in store. 22. 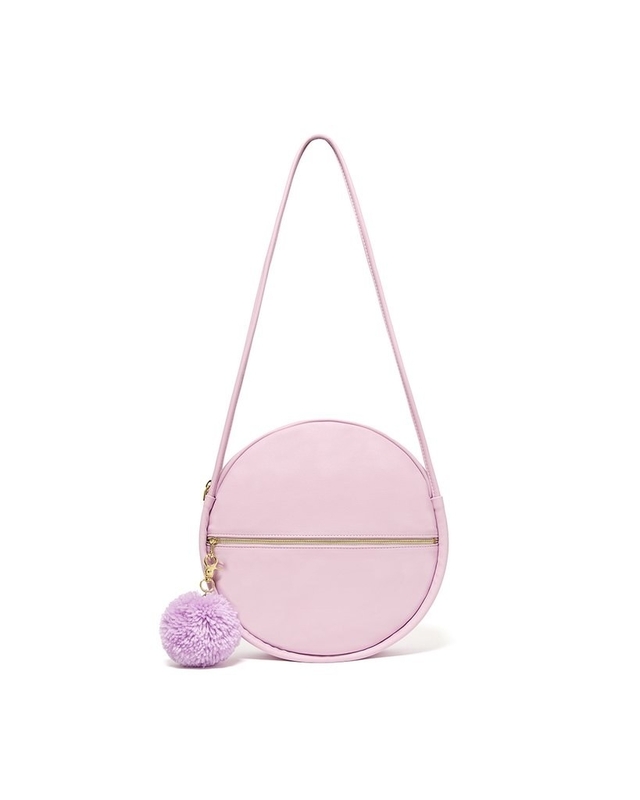 A peekaboo clutch that will make it easier for you to remember if you have the three most important things when you leave the house: your phone, keys, and wallet. And that's only a small selection of the items! Check out the whole warehouse sale here.